That will be fun! Think you can get a sound clip? Real nice work Manfio. Is it time for a break or do you start another right away? Rue, I will try to get a sound clip. Hi Uncle, I feel exhausted when I finish an instrument.... yes, time for a break! Great scroll, great varnish, great wood. As soon as I hit the lottery, I'll commission something from you! 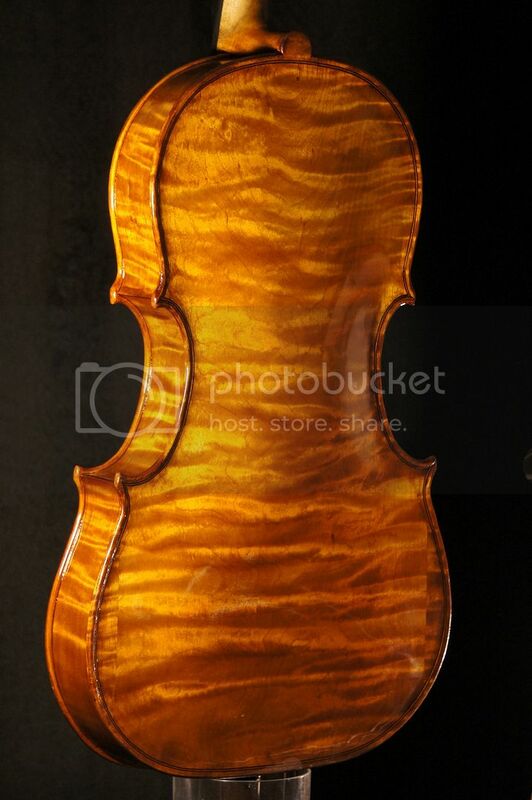 16 Inche viola "Elizabeth Browning", just finished. Same varnish ground I normaly use but this time I used Joe Robson rosin oil varnish. I mixed some arancione to the brown and liked it, had no need to use pigments. Nice varnish! It is a bit harder than Magister varnish but I found it takes less imprints. Joe was very helpfull, as usual. 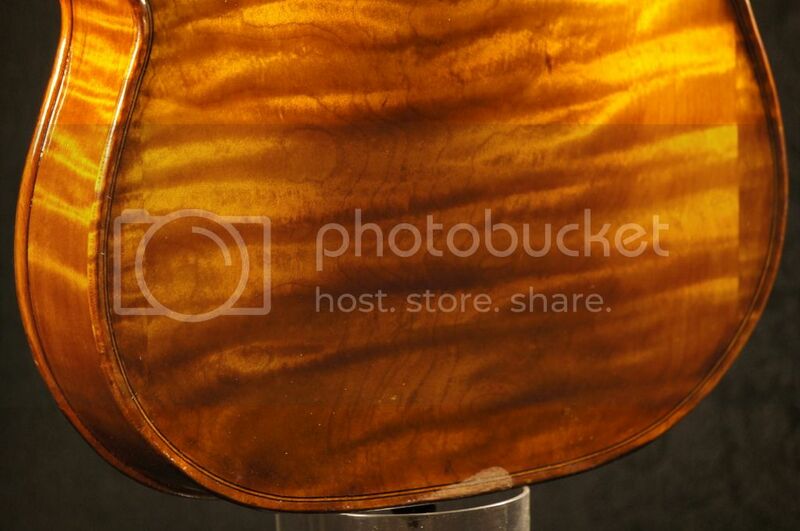 I like the swirly, wide flamed maple you've been getting. Looks like the varnish worked very well too. I guess your ground has a lot to do with it. What do you use? I like how you stayed with your signature color too. I'm going to go for red. Nice job. Is this model wider than normal? Is that why you added the wings? And I can't tell...did you have to add wings on the spruce top as well? Thanks Ken! Yes, the ground is very important. It is ligther in colour and less red than that in person. Thanks Rue! 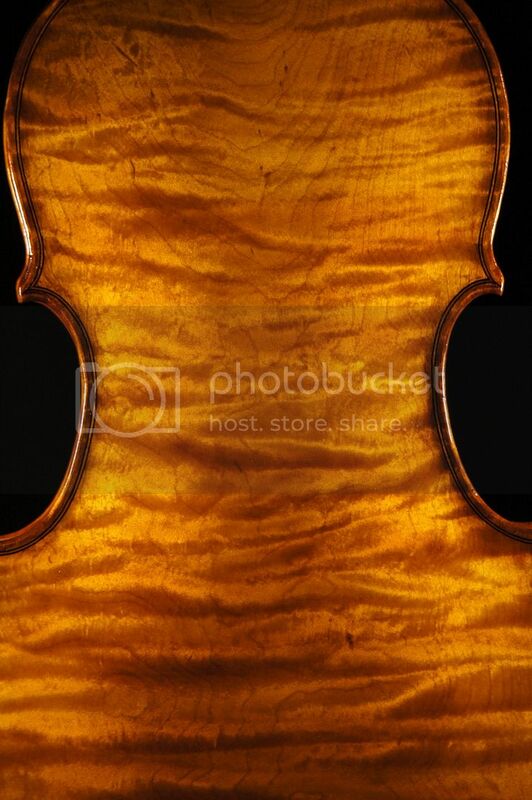 It is a modificated Andrea Guarneri model (Conte Vitale), I widened the lower bouts in 10 mm, made the corners shorter (for bow clearance) and reduced the length for 40.8 cms. 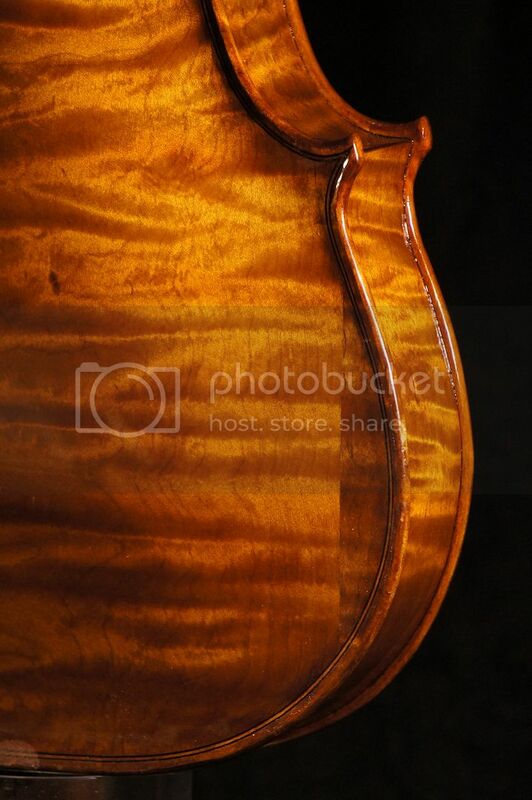 The scroll is from the Andrea Guarneri "PRIMROSE", but I make it violin type. I added the wings because the wood was not sufficiently wide, just in the back, as we can see in the PRIMROSE Andrea Guarneri viola too. No wings in the top here, but it can be done too, if necessary. Nice! is that Kevin K's. Maple wood? 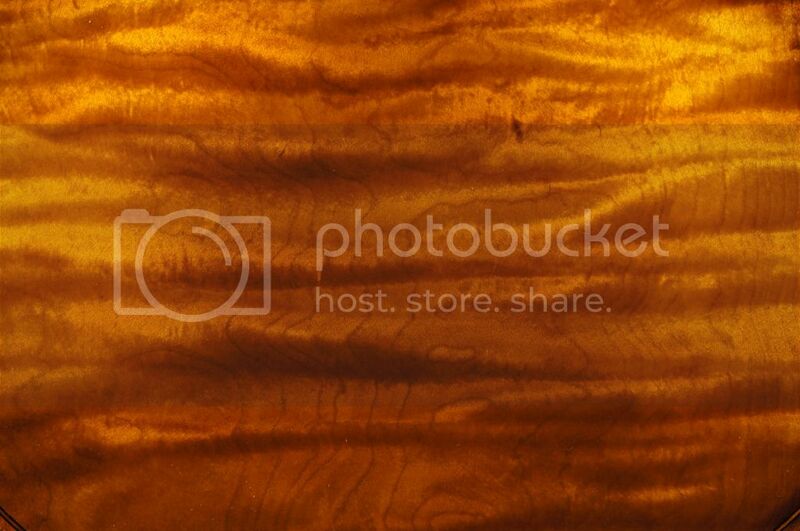 I notice you usually use slab cut back wood. It is beautiful. Do you have a particular reason why you prefer to use slab cut backs? Hi Gowan! 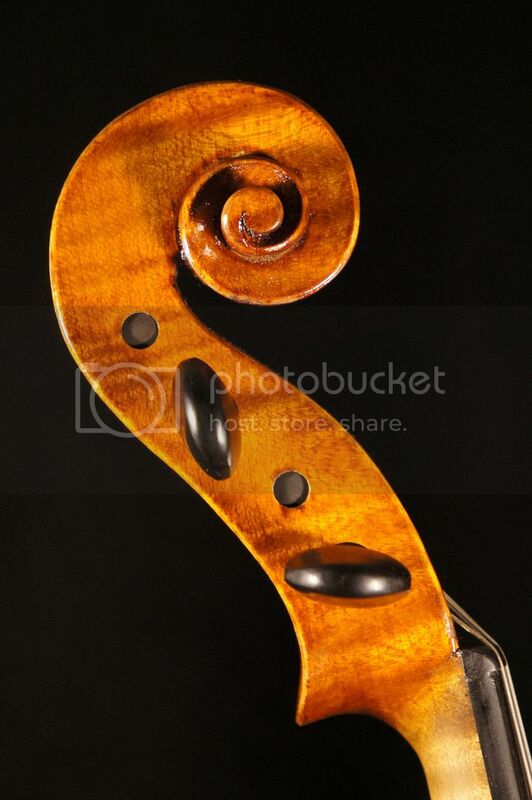 I think it helps giving a good viola sound... this wood is very light too. 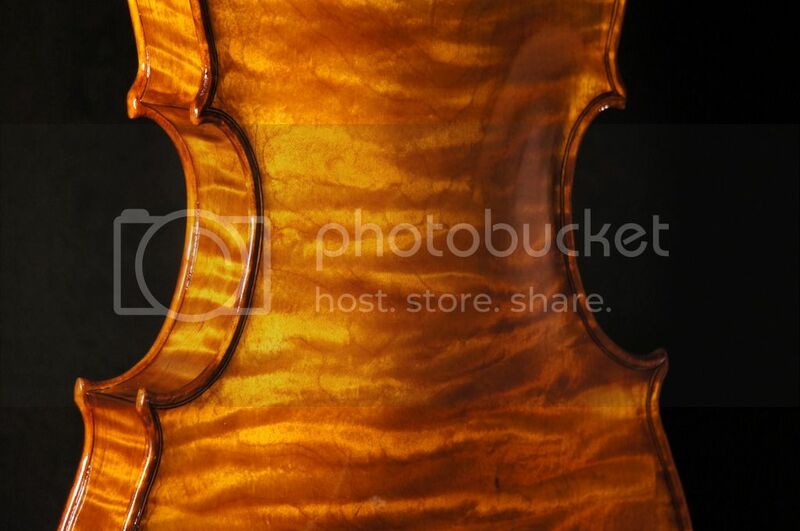 Maple cut on the slab is much softer than that of quartered maple and I think it is the best choice for viola voice. Nice to read and see what you are doing. Congratulations for that. Esther Apítuley, one of my players in Amsterdam is releasing a CD with some Bach transcritions for viola, including the Ciaccona. Great sound and wonderful playing! 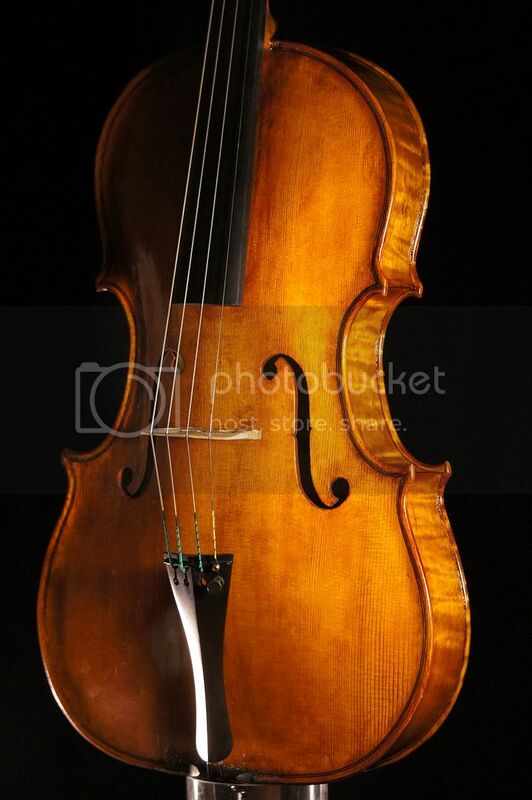 be it from violin or cello suites. Thanks! Yes, she is a darn good player! She had just one day to decide about getting the viola. Nice sound Louis! 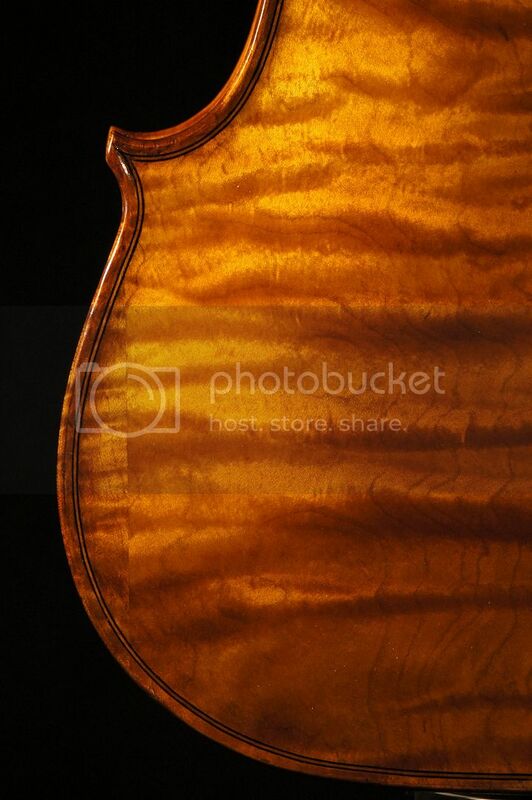 I'm varnishing one viola, and have another almost in the white, so now I know what to shoot for. They will be completely different, a 417mm long one with a very flat arch, and one right at 16 inches with a very high arch. Kind of an idea to see what each will bring to the equation. I had no idea that a visa was that deep and rich. Thanks. Thanks Tango! 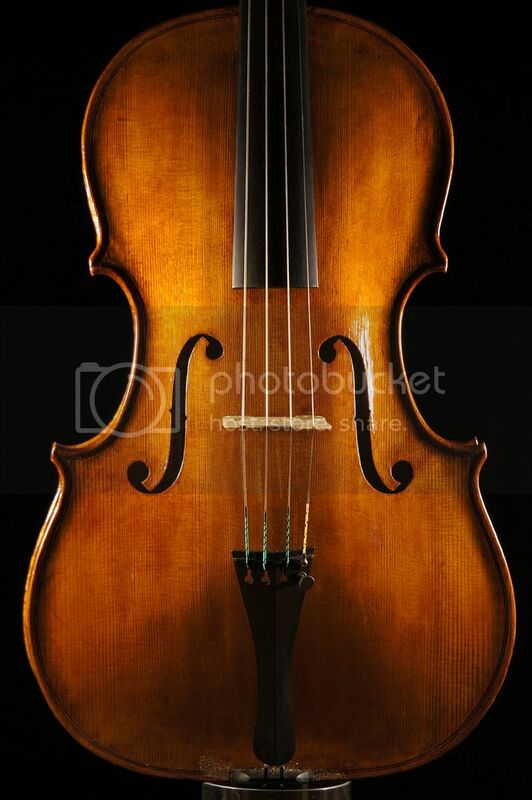 By the way, here Piazzolla's Le Grand Tango played in one of my violas, in London.